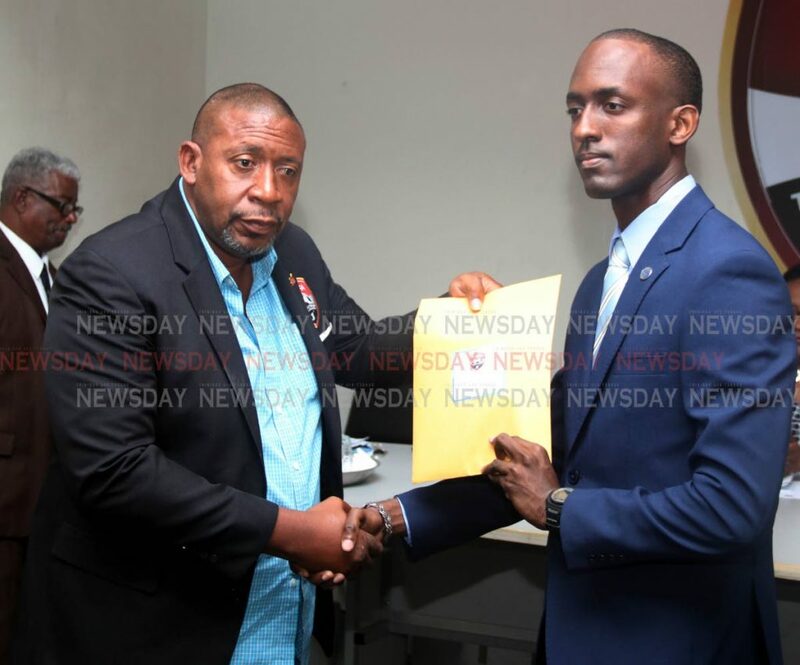 OSMOND DOWNER, vice-president of the TT Football Referees Association, has called on the TT Football Association (TTFA) to play its part to ensure more TT officials are selected for CONCACAF and FIFA tournaments. Downer was speaking at the TTFA refereeing department’s FIFA badge distribution ceremony, at the media room of the Ato Boldon Stadium, Couva yesterday. 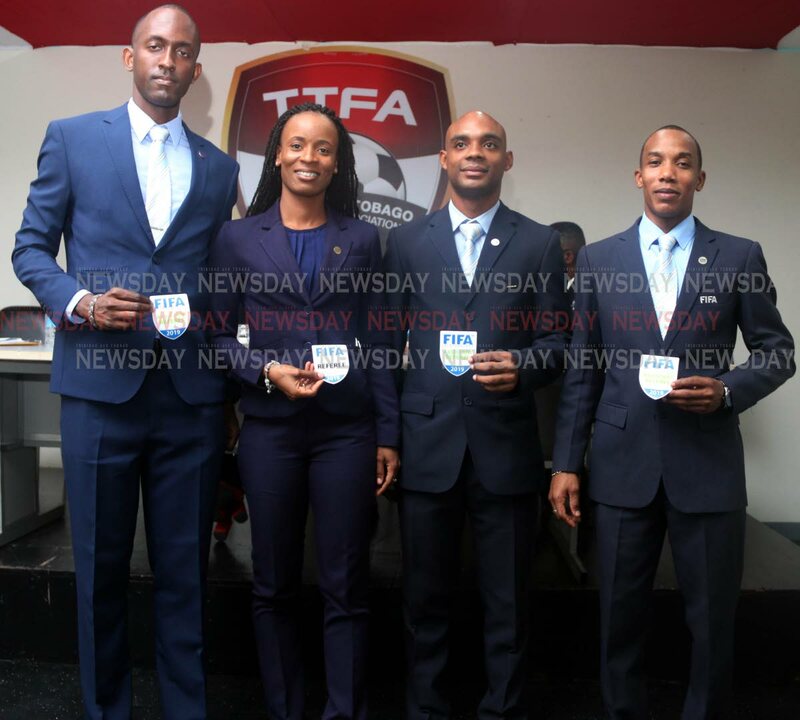 Four officials – Crystal Sobers (referee), Caleb Wales, Ainsley Rochard and Joseph Bertrand (assistant referees) – were presented with their respective badges, after their selection to the 2019 FIFA panel. Sobers was recently named as the second-best CONCACAF woman referee for 2018, behind Lucila Venegas of Mexico. Two other TT officials on the 2019 FIFA panel, Cecile Hinds and Evelyn Douglas-Jacob, were absent from yesterday’s event. Speaking at the ceremony, Downer expressed his displeasure that no local referee was on the short-list of officials for the 2022 FIFA World Cup in Qatar. Downer continued, “We have nobody in CONCACAF (or) CFU talking for referees. We have nobody in FIFA as (what) used to be. There are a lot of politics, not only in football but in refereeing. Super League president Keith Look Loy praised the work done by the officials during the 2018 season. But he urged the TTFA to put more resources into the development of the established as well as budding crop of local officials. “We need to see the TTFA putting more resources into refereeing, the training of referees and the equipping and fortification of the referees department,” said Look Loy. Also speaking at the event were Pro League CEO Julia Baptiste and head of the TTFA referees department Wayne Caesar. Reply to "Downer: TT refs not on world stage"